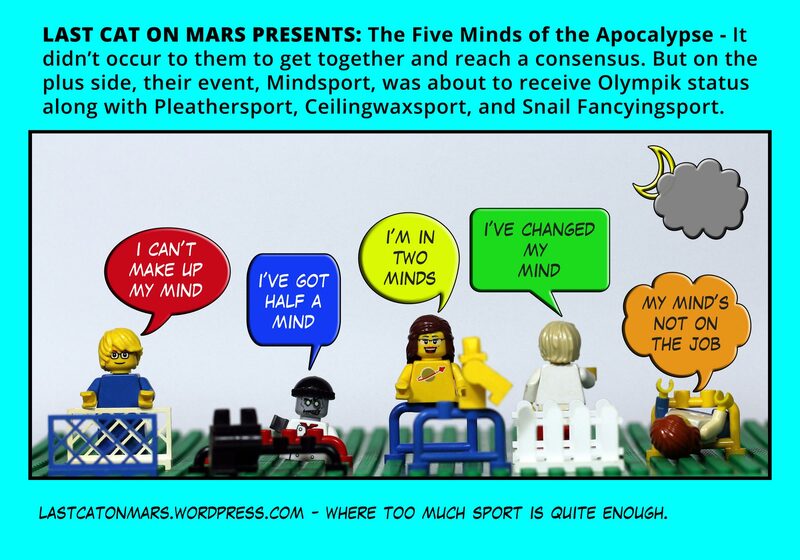 This entry was posted in Variety Show and tagged Apocalypse, lego, minds, Mindsport, minifigures, sport on March 25, 2015 by Jay Verney. 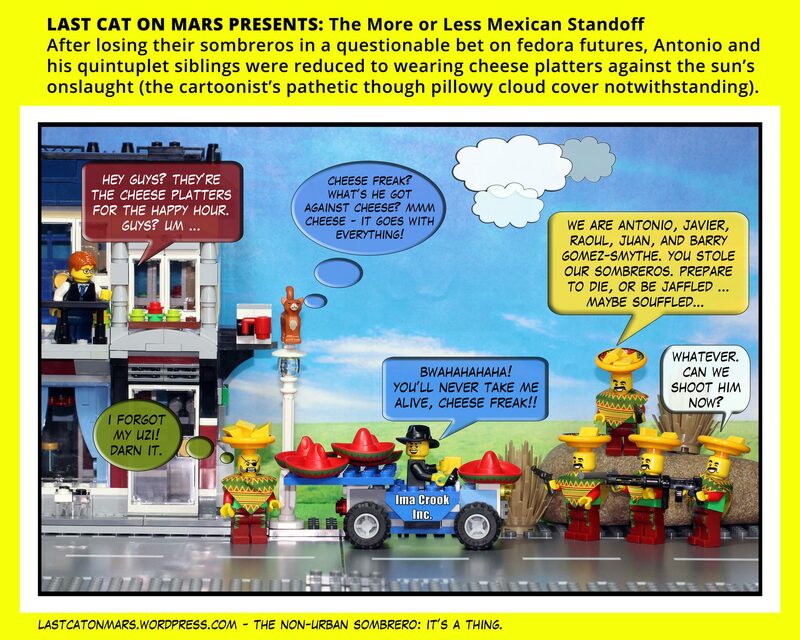 This entry was posted in Variety Show and tagged cheese, cheese platters, fedoras, Last Cat On Mars, lego, minifigures, quintuplets, sombreros on March 18, 2015 by Jay Verney. 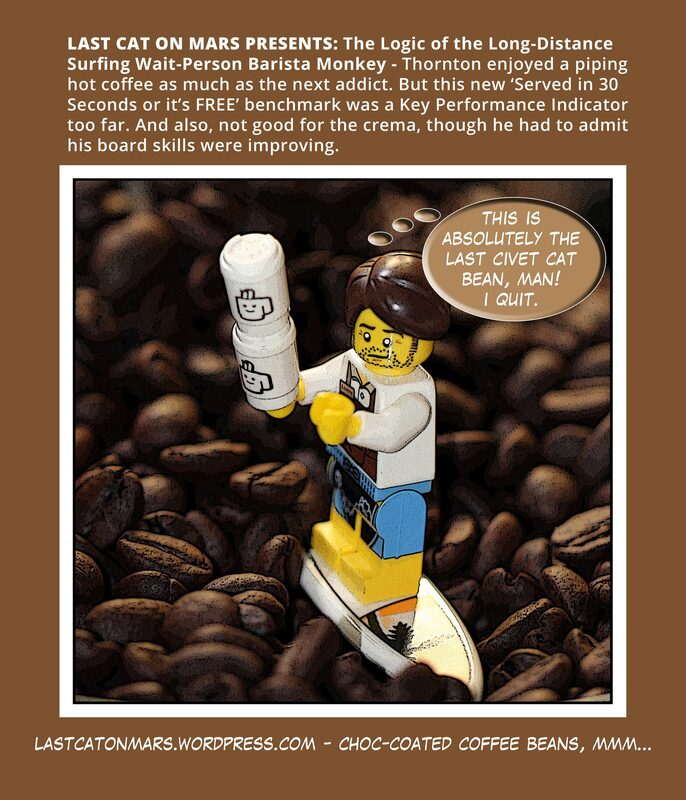 This entry was posted in Variety Show and tagged barista, coffee, coffee beans, lego, minifigure, surfboard on March 11, 2015 by Jay Verney. 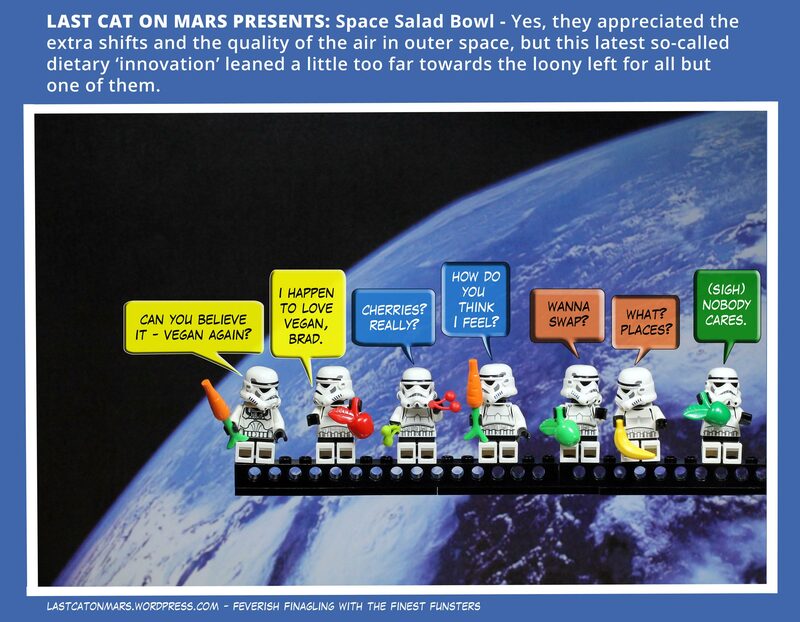 This entry was posted in Space and tagged food, fruit, lego, minifigures, salad, Stormtrooper, vegan on March 4, 2015 by Jay Verney.